There will only be two podiums set up on the debate stage at Hofstra University come Sept. 26, much to the chagrin of third-party supporters who'd hoped to see another option presented alongside Democratic candidate Hillary Clinton and Republican candidate Donald Trump. The Commission on Presidential Debates announced Sept. 16 that neither Green Party nominee Jill Stein nor the Libertarian Party's Gary Johnson qualified to debate Clinton and Trump in the first presidential face-off. While it's likely too late for Stein's or Johnson's supporters to succeed in having their candidate added to the first of this election's three presidential debates, petitions have sprung up across the Internet aiming to do just that. To participate in the presidential debates, candidates have to meet two requirements: be on the ballot in enough states that they could win an Electoral College majority and garner the support of at least 15 percent of the national electorate in five national polls. Although Stein and Johnson met the first requirement, they failed to meet the second, according to the Commission on Presidential Debates. The news came as a disappointment to Johnson, who's been campaigning hard to pick up undecided supporters of former Democratic candidate Bernie Sanders. "I would say I am surprised that the CPD has chosen to exclude me from the first debate, but I'm not. After all, the Commission is a private organization created 30 years ago by the Republican and Democratic parties for the clear purpose of taking control of the only nationally-televised presidential debates voters will see," ABC News reported Johnson said in a statement. For anyone anxious to see Johnson debate Clinton and Trump, there are a slew of petitions online aiming to have the Libertarian candidate's voice added to the presidential debates. Here are six petitions aiming to get Johnson up on the debate stage. 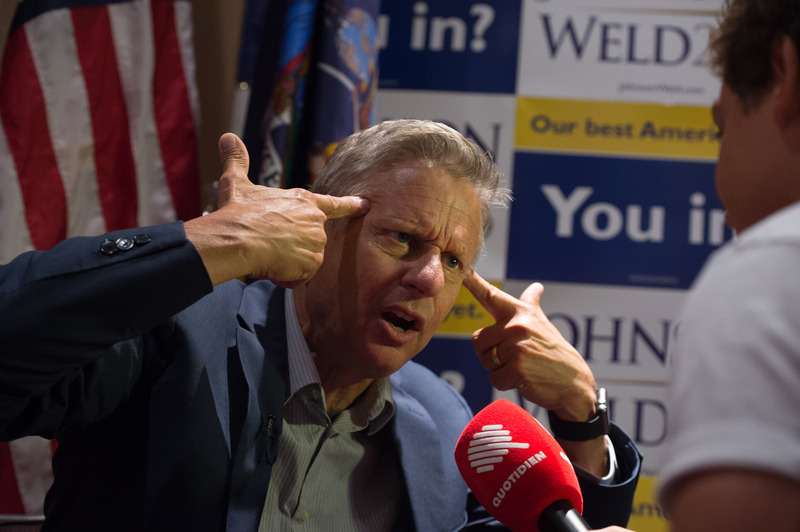 Johnson and his running mate Bill Meld have garnered more than 850,000 signatures on their petition to be included in the presidential debates. At least 961 people have signed this petition, which argues that Johnson is hardly a "fringe candidate" and calls on both Clinton and Trump directly to use their influence in having the Libertarian candidate added to the debates. A petition aiming to turn the 2016 election into "a three party race" by forcing the debate commission to add Johnson to the debates has garnered 51 signatures. Only 14 people have signed this petition, which aims to have a "viable third option" enter the presidential debates. This petition demands CNN, ABC, MSNBC, Fox News, and CBS allow for "America's oppressed voices be given proper representation on National TV" with the inclusion of third-party candidates Stein and Johnson. More than 5,860 people have signed. A petition threatening Clinton, Trump, a slew of news outlets, and the Commission on Presidential Debates with protest unless the two third-party candidates are included in the debates has garnered more than 410 signatures. Although it's incredibly unlikely that he'll be onstage Sept. 26, Johnson has high hopes he'll meet the necessary requirements to be included in the second debate. "There are more polls and more debates, and we plan to be on the debate stage in October," he said. The petitioners will have to wait and see.